TV viewers who watched last year's Ladbrokes Poker Million on Sky Sports were given a treat of short-handed poker culminating in a tense and exciting live final, eventually won by a Ladbrokes Poker internet qualifier, Anthony Jones. SoccerAM's Helen "Hells Bells" Chamberlain finished a gallant runner-up edging out Danish poker professional, Martin Wendt, after one of the cruellest of televised bad beats had stopped him eliminating Chamberlain not long before. Will Martin Wendt want some revenge in the Ladbrokespoker.com Poker Million V? It remains to be seen if Martin Wendt decides to participate but one fact is certain; you could! You have the chance to qualify and compete in this year's Ladbrokespoker.com Poker Million V which breaks records for added prize money in a major European tournament. 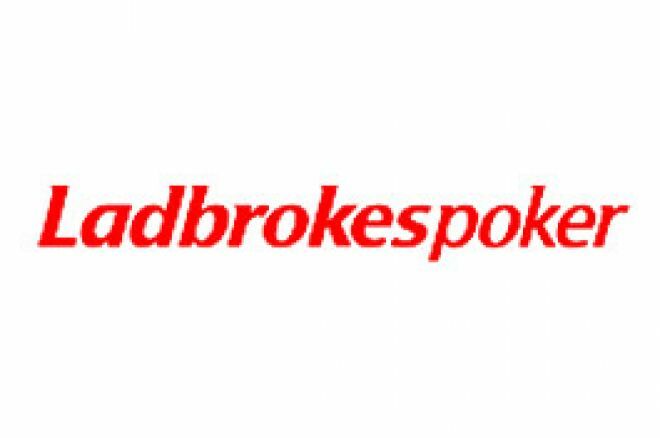 Poker professionals have long argued that the sponsors and TV companies should be putting more money into the games they directly benefit from, but no complaints should be heading in the direction of Ladbrokes Poker. The Poker Million V televised stage is limited to 72 players and the prize for the winner alone is to be $1,200,000. The overall prize pool at the Final Event is $2,440,000 of which Ladbrokes Poker are adding $1,000,000, a superb "overlay" in anyone's language. In addition, Ladbrokespoker.com is offering $1,680,000 in guaranteed online prize pools during the qualification stages, adding up to an overall prize fund of $4,120,000 for the Poker Million V event. There will be 72 players in the final televised stages of which two places are reserved; one by reigning champion, Anthony Jones, and the other by the ultimate qualifier of a televised celebrity heat. Last year's celebrity heat was won by the eventual runner-up, Helen Chamberlain. Online qualifiers can participate in Weekly Finals. Not only do these Weekly Finals offer two Poker Million V packages worth $22,500 each week to the top two placed, there is also a guaranteed cash prize pool of $105,000 in each tournament. Entry into these Weekly Finals is via daily feeder satellites, or a top 50 finish in the big Saturday $100,000 Weekly Raked Hands Freeroll, or via weekend satellites run on Saturdays and Sundays. Regional live poker satellites will be held throughout Europe during March through to June 2006, and online players can qualify to play in these Regional Satellites. Information will be made available in the regions as they arise. There will also be 12 seats reserved for direct buy-ins of $20,000 each by professional poker players who also play online at Ladbrokespoker.com. One of these seats is already taken by defending champion, Anthony Jones. When the dust has settled in June, the players will be invited to London to film their respective heats. Once they are completed, the winners of each of the twelve heats will return in December to film the semi-finals, and the three top finishers of each will compete in the final to be filmed and broadcast live on Sky Sports on Friday 15th December 2006. Previous winners of the Poker Million series have been John Duthie, Jimmy "Whirlwind" White, Donnacha O'Dea and Anthony Jones.